D'banj Debunks Death Rumour- " I 'm very much alive"
Rumour started spreading that D'banj is dead after the dana airplane crash in lagos earlier today claimed over 150 lives. It was reported that he was shot dead by three gunmen in atlanta after leaving kanye west's studio . Though first reported as April fool joke, the story started spreading like wildfire again today . 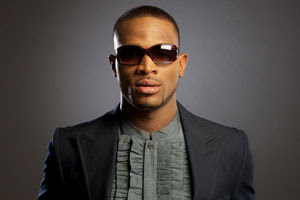 D'banj has debunked the story :"Pls ignore the nonsense rumours. I'm very much alive and well! Thanks be to God! Thank you 4 all ur concern. #PrayForNigeria#DanaCrash #RIP" He tweeted. trade carefully broda koko master..
Koko master u can't die nw........ U 2 sweet 2 die. May God almighty protect our lifes ,for the work of his kingdom,D'banj notthing do u God dey ur side,always believe God will protect u,bcos christ in us the hope of glory. Keep shining D'banj,carry Go. Longer days prayed for the kokomaster. Ur days are prolonged and u'll continue to shine brighter and brighter like the shining star! Keep making 9ja proud. Not yet there are still more grounds to be conquered, heaven still need his services. Meanwhile do not forget where you started from with Femi.